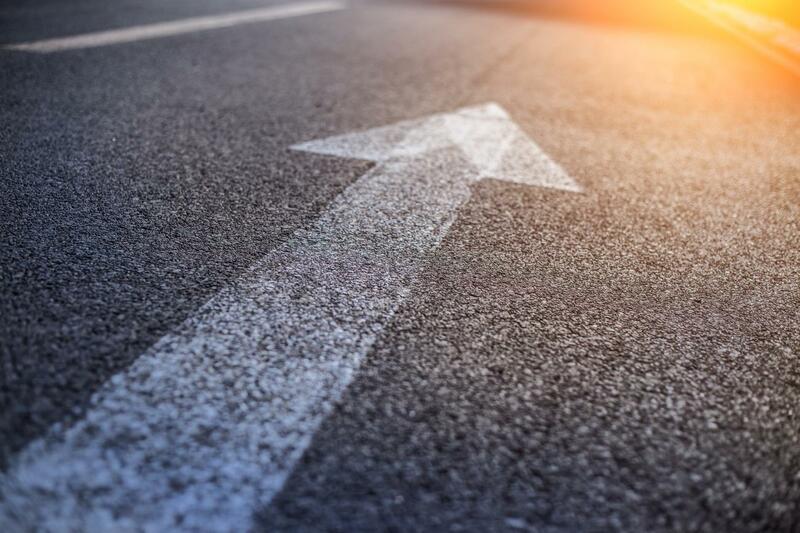 The market for enterprise content management (ECM) tools reached a real crossroads in 2017 with OpenText’s acquisition of Documentum, once one of the leading ECM products. 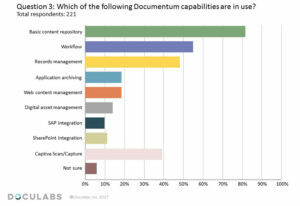 The acquisition has significant implications for existing Documentum customers--many of whom happen also to be Doculabs customers. 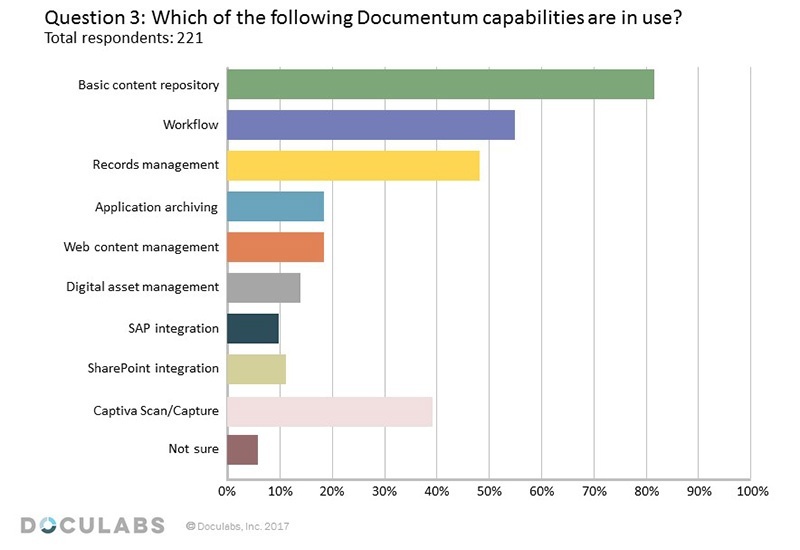 No surprise, then, that I’ve been speaking out about the acquisition and what it means for organizations currently using the Documentum ECM product. 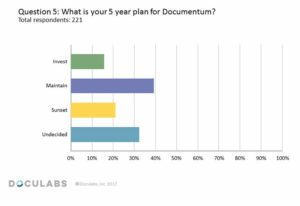 And whenever the subject has come up, the discussion has been so passionate and thoughtful, that Doculabs decided to develop a quick survey to issue to our client base, to see what their experiences post-acquisition have been and what their go-forward plans are for the Documentum platform. I’m here to report that the results are now in, and we’d like to share them with you. 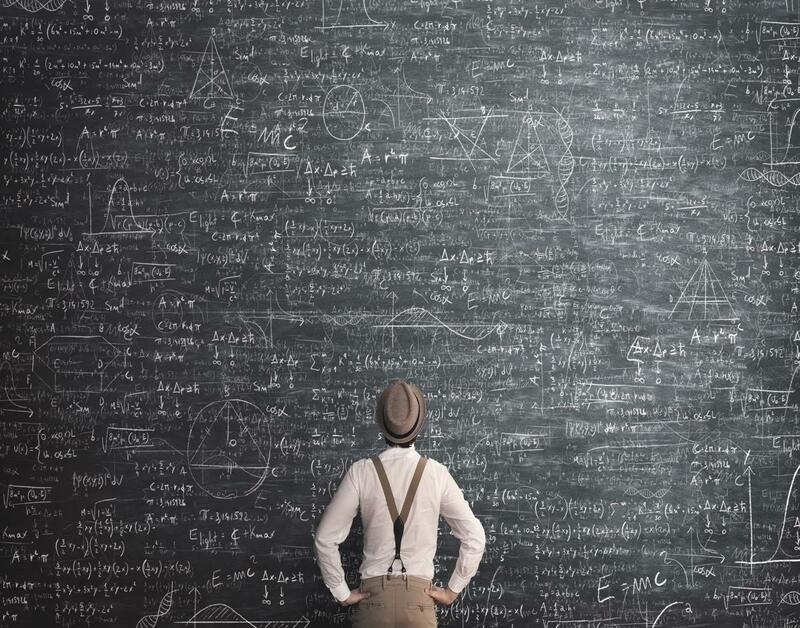 So here, without further ado, are our preliminary findings, with the understanding that there will be more—much more!—to come (so check back here soon). 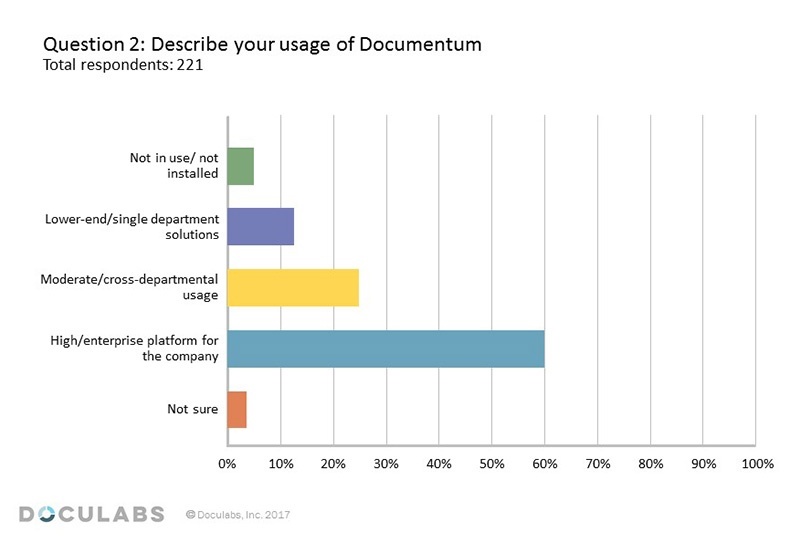 The first three questions were intended to get a handle on how respondents’ organizations are currently using the Documentum product. 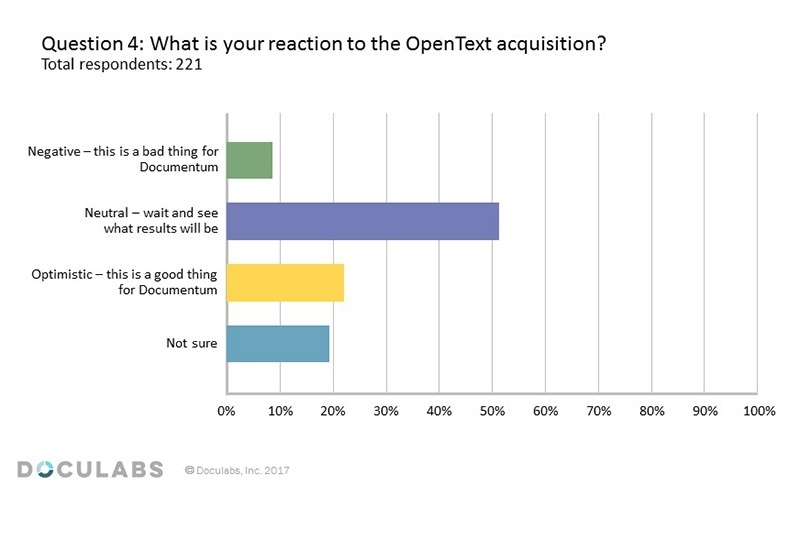 The final questions were intended to probe reactions to the OpenText acquisition and respondents’ expectations for Documentum, going forward. 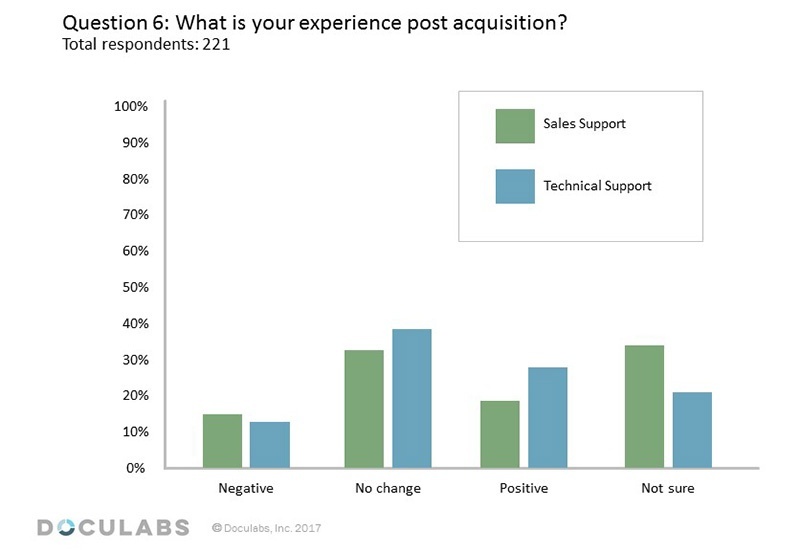 One item that made me sit up and take notice: Only 9 percent of respondents reported feeling negative about the OpenText acquisition—far fewer than I would have expected. 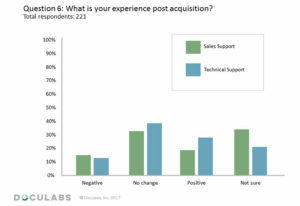 The majority report being undecided (50 percent) or not sure (20 percent), leaving 20 percent actually positive about the acquisition—again, far higher than I would’ve expected. 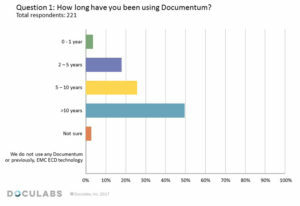 And while other respondents suggest some hesitance in action on their positive feelings post-acquisition (especially where go-forward plans for Documentum are concerned), the fact remains that in the wider world of Documentum users, more are positive than negative by a ratio of about 2 to 1. 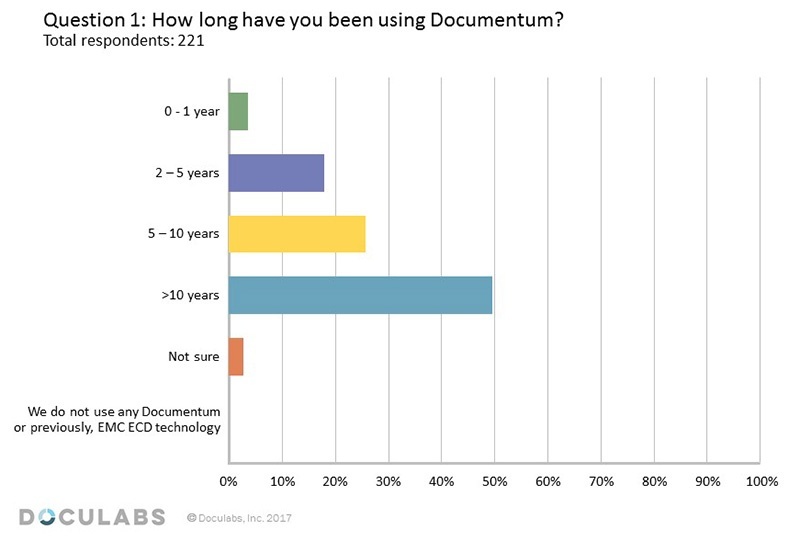 There’s no shortage of pundits and talking heads trying to predict the future of ECM (including a few other people at Doculabs), but based on these survey results, the end-user population is hedging its bets. 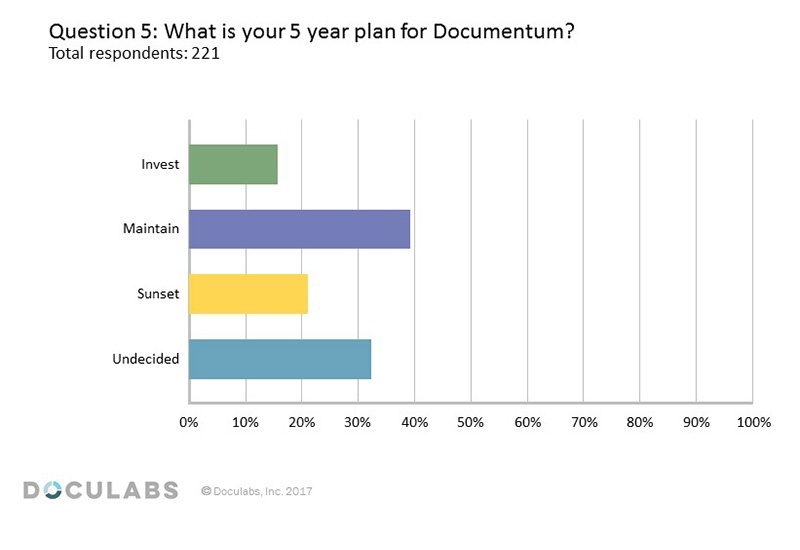 The majority of survey respondents appear to have adopted a “wait-and-see” attitude, or are in maintenance mode (or are unsure where they stand) in terms of their go-forward plans for ECM--whether as a consequence of the acquisition or regarding ECM in general. This squares pretty well with what I’ve been seeing at industry events and working with Doculabs clients on any ECM platform. So that’s the quick take. We’re still sifting through the wider implications, however, and the plan is to issue a white paper with a detailed report of our analysis. 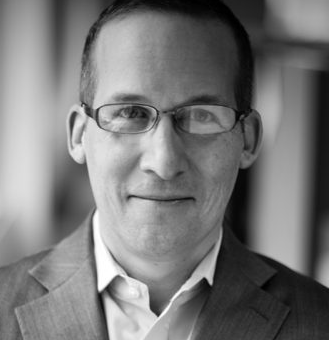 In the meantime, if the findings touch a chord—or a live wire--with you, please feel free to give us a call. And while you’re at it, sign up for our newsletter. 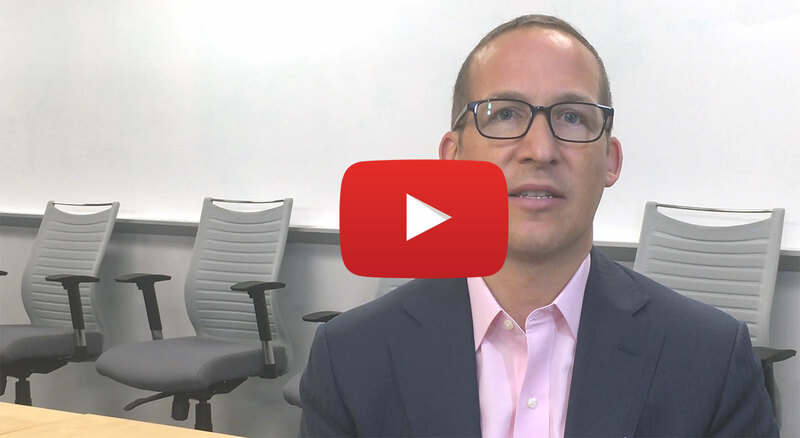 It’s a great way to keep informed on the technology developments that are top-of-mind not just for us, but for you and for organizations like yours.